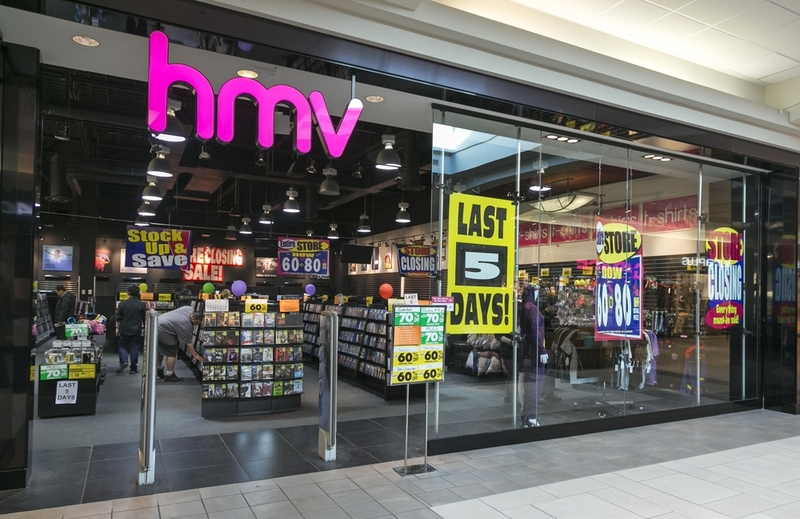 HMV has narrowly avoided collapsing after Canadian firm Sunrise Records has agreed to buy-out the struggling chain. HMV fell into administration towards the end of last year amid tough high street trading conditions in the UK. However, Sunrise Records, owned by Doug Putman, is now to rescue the firm out of administration. Under the deal, Sunrise will buy 100 stores out of administration, in turn saving 1,487 jobs. Nevertheless, 27 HMV stores are still set to close, including the retailer’s Oxford Street location, resulting in 455 redundancies. It has yet to been revealed how much HMV had been sold for at present. In a statement, Putman said of the deal: “We are delighted to acquire the most iconic music and entertainment business in the UK and add nearly 1,500 employees to our growing team. By catering to music and entertainment lovers, we are incredibly excited about the opportunity to engage customers with a diverse range of physical format content, and replicate our success in Canada. Elsewhere across the retail sector, Carpetright shares (LON:CPR) fell after the embattled retailer announced the departure of its CFO. Meanwhile, shares in Pandora (CPH:PNDORA) ticked up after the Danish jewellery brand unveiled a cost-saving programme.